You must have heard people excitedly saying that we live in an information age. Simply put, it means that we have all sorts of information at our finger tips. Yay!! Three cheers for technology! These days people are constantly harping about ‘content’; content is king etc. Yes, all this content is a wonderful blessing but the problem most people face is how to get to the right content? How to land on that specific nugget of information that you need? There are lots of people, who are working on providing us with useful information by way of content curation. If you are involved in content marketing, you already know the value of this. The first thing you need to do is find interesting and useful information that can be shared for common benefit. This may sound like a tedious process to go through tons of web pages to find information that can be used. In reality, it is not that cumbersome, the first place to look for is websites, blogs etc. of your interest that you already visit. There are several tools such as Flipboard and Feedly that can help in finding the desired content. Flipboard: It is a mobile app in the form of a made-to-order magazine, which allows you to track and save the information related to your areas of interest in one place. It gives you suggestion based on your interests. Feedly: It is another tool to access, organize and share the information of your liking from various sites, blogs, podcasts, YouTube channels etc. There are no technical guidelines or anything for analysis. It basically depends upon your intent for sharing and your audience. Just go over the collected content and mark it for sharing if you think it is good for it. Content marketers may dive a bit deep and also review the available stats for the content such as Likes, Shares etc to decide if it is worth their effort. This is the best part of the process because content curation is not just about sharing it but it is about adding value to it by including your comments, reviews etc. After the advent of the social web, people share stuff all the time but it isn’t really curation until additional value is added to it. Once again, there are a number of tools available, which make this job very efficient. For example, Storify helps you tell a story by aggregating content on a topic from different sources. It also allows you to add your insight and input to make it more valuable. In order to make the best use of your time, you should curate in batches and according to a schedule. 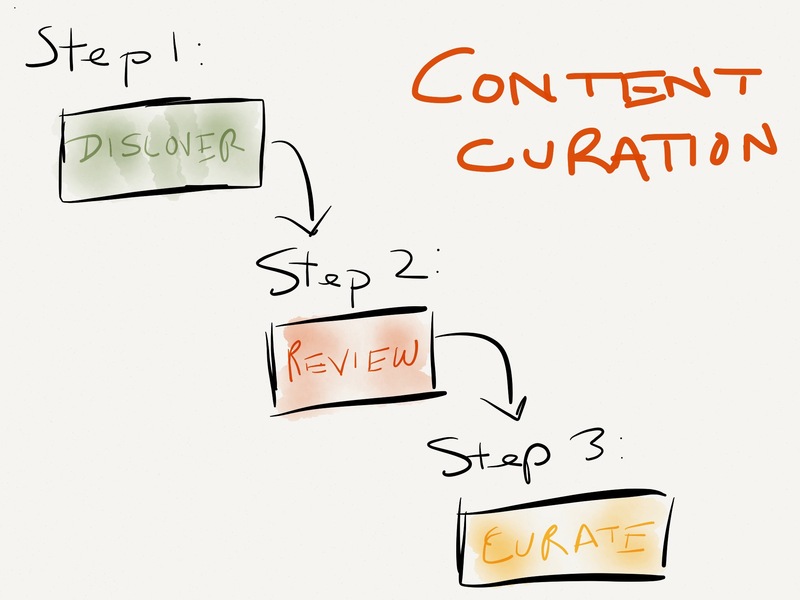 Remember, curation is more than sharing, so effective curation is not always done in real-time because that doesn’t give you time to add value. So, gather content as often as you can and share once or twice a week. While sharing your amazingly curated content, always remember to accurately attribute the source, not only to avoid legal problems but also to give credit where it is due. At the end of the day, it doesn’t make any difference which tool you use, what matters is whether your curated content is fulfilling the needs of your audience or not. The above guest post is written by professional assignment writer Andrew Alpert who providing assignment writing services to UK students. Glad you like this post. Thanks for posting your comment here. Keep coming.